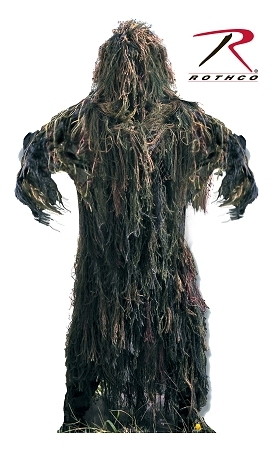 Rothco s Lightweight Ghillie Suites provides the perfect camouflage for hunting, paintball, Airsoft, & military use. The jacket features a hood, snap front closure pass through front pockets elastic cuffs & reinforced collar. The pants feature an elastic waist with drawstring and snap up legs to the top of your boots.